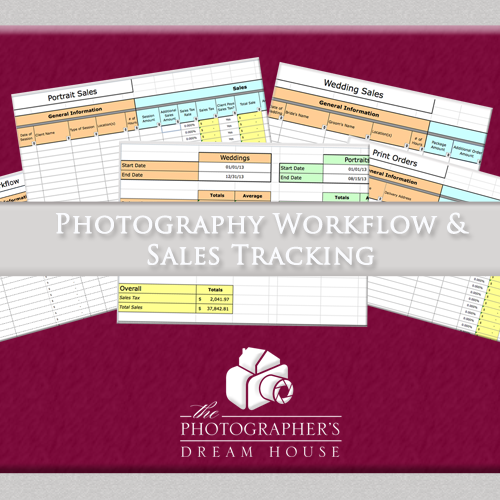 Ensure you and your clients are always on the same page! 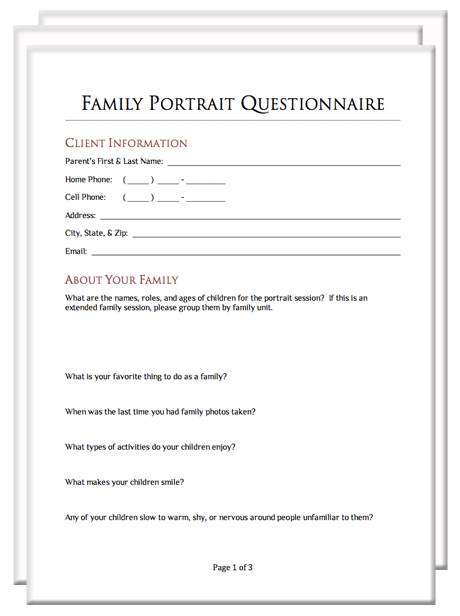 The Photography Client Questionnaire Packet contain all of the necessary questionnaires for your photography business. 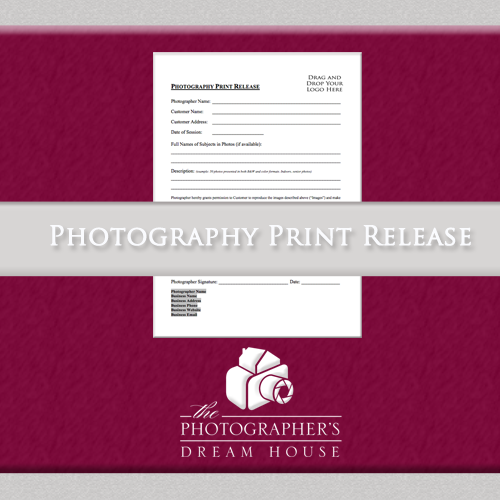 There’s one for Weddings, Milestones, Newborns, Family & Children, and High School Seniors. 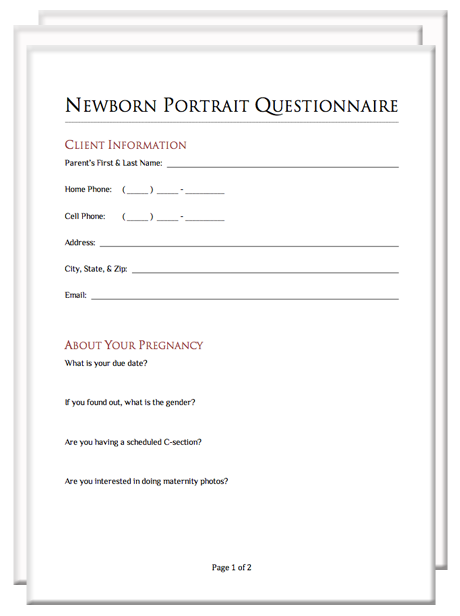 The Newborn Questionnaire has 2 pages, the Wedding Questionnaire has 8 pages, and the others all have 3 pages. 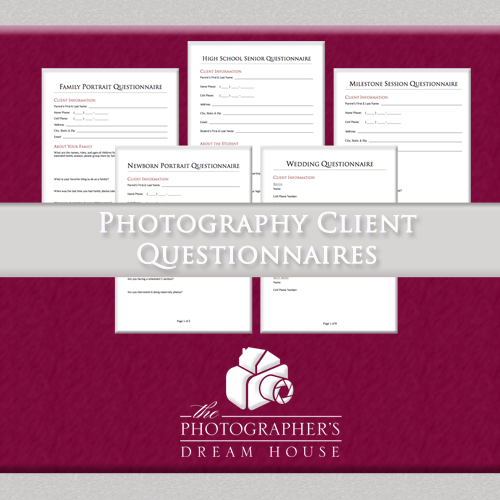 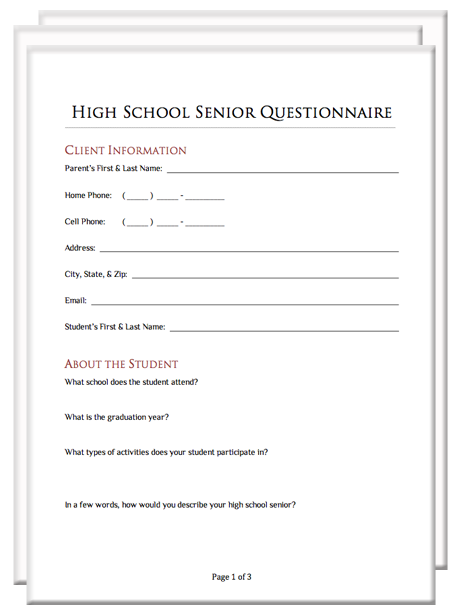 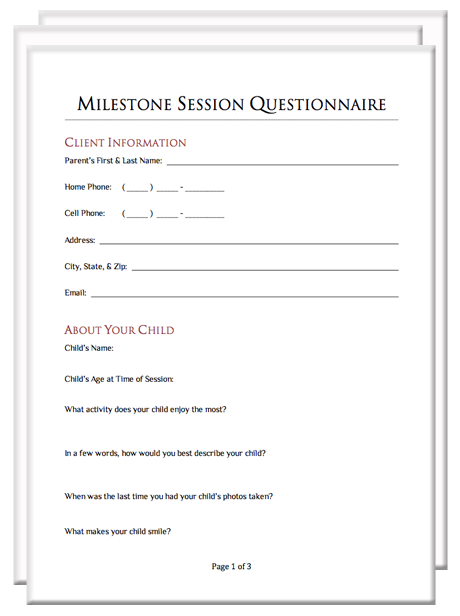 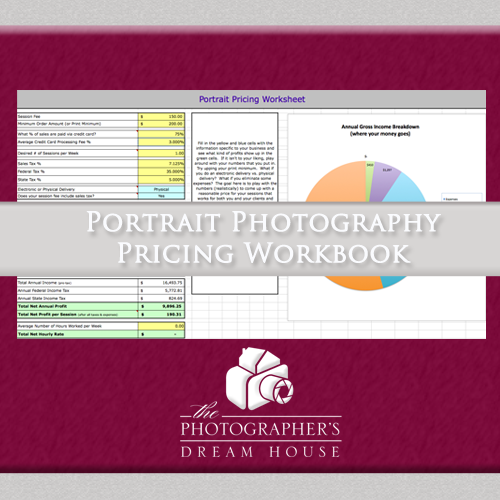 And, you can customize each of these photography questionnaires with your logo and brand. 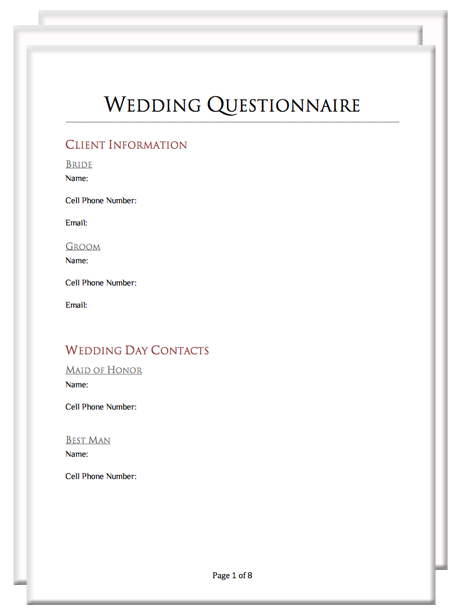 Impress your clients with these professional client questionnaires!